Probably none of them. While every injury and body is different, there are some general guidelines that should help you make the right call. We spoke to Dr. Sameer Dixit, MD, primary care sports medicine physician at the Johns Hopkins University School of Medicine for some advice on when you want to heat things up, and when you need to cool them down. “Very generally, for acute injuries within the first 48-72 hours, we recommend ice,” said Dr. Dixit. “Ice can help with swelling in these situations.” It's important to limit swelling when possible, because in addition to limiting mobility it can cause a lot of pain and general discomfort. “Ice tends to constrict blood vessels thus decreasing swelling,” says Dixit. Ice can serve a secondary but also important function: It soothes acute pain. Cold temperatures cause numbness in living tissue. Strategic application of ice can ease your pain when it's at its worst. To prevent injury—an extreme example would be frostbite, which can actually cause skin and muscle tissue to die—it's recommended that you don't apply ice directly to the skin, and that you not use it for more than ten minutes at a time without taking a break. “Heat is generally more helpful for issues that have occurred over time,” says Dr. Dixit. In other words, it's more likely to be helpful for chronic, reoccurring injuries, and “tightness if it is not related to swelling.” While ice constricts the blood vessels, heat tends to dilate them, increasing blood flow. That's why you generally don't want to use heat if there's swelling. You don't want to increase blood flow to an area that's already overloaded with blood. Question 2. You were a minor league pitcher with a promising career ahead of you. Then, one day, an unscrupulous scout suggested you try a new and highly experimental style of pitching, promising to take you to the bigs if you dialed it in. Over the years, your rotator cuff went south on you and you never threw faster than 75 MPH again. Ten years later, your shoulder still aches when it rains. Answer: Heat. The kind of stiffness that comes from old injuries is one that heat often works well for. Maybe it never quite healed correctly, and the muscles and tendons never regained their former elasticity. Heat may allow those tight muscle fibers to relax a little, if only for a while. Answer: Ice. Trick question! Yes, a muscle cramp is a form of extreme tightness which might make you think that heat is the way to go. After all, heat promotes relaxation, right? 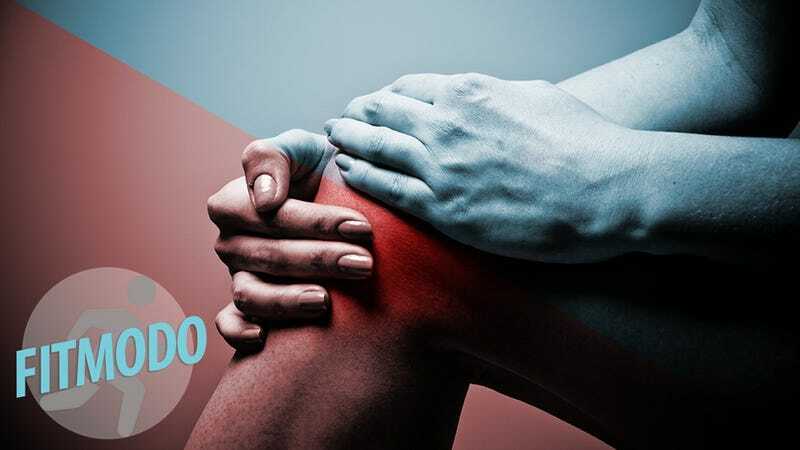 While that's often true, a muscle cramp is still an acute injury, and it's still liable to swell up after the muscle goes back to its normal shape. “If you watch a football game, when a player cramps, the athletic trainers are often applying ice locally,” says Dr. Dixit.